We mix the holy with the profane, so that the profanity can SILENCE the voice of the holy when it gets the chance. We shake a fist at God and trust in corrupt government and witchcraft business, casinos, idolatry and debt money to bring us back to life. But God will destroy our city until the Churches in Detroit turn from our wickedness and pray night and day. We are a prophetic microcosm of the failure, pandDEMONic violence and rioting, and unconstitutional Islamic takeover that is coming to ALL of America if the Church in Detroit doesn’t destroy our sin and our institutionalized racial division NOW. This is Detroit, and this is what we do! Check out this video from our friends at Deatroitborn. – Bring a change to your city! Get the Book! Killing Idols For REVIVAL. Sometimes we think of witchcraft and sorcery as something that goes with pointy hats from 2 centuries ago, or chicken blood voodoo in 3rd world countries. We’re too civilized for that right? It’s just Harry Potter books right? First, what is a craft? A craft is a natural skill. Witchcraft is a natural craft that is used to reach spiritual levels in an evil way. It could be making music which alters people’s spiritual state. It could be building a tower to reach heaven (Genesis 11). It could be making potions… It could be concocting drugs to change people’s mental state… It could be concocting strong drink specifically to get people drunk. (There’s a reason they are called ‘wine & spirits). Did you ever wonder why there are so much legal drugs, illegal drugs, and alcohol involved in the music industry? It’s because they have to alter their state and connect with spirits to get the insight they need for hit songs and results. Many secular artists are sorcerers, and they don’t even know it, but many do. Just like Christians have to continually be filled with the Holy Ghost by praying and singing Psalms, Hymns, and Spiritual songs… people connecting with evil spirits are often drunk with wine or altered with drugs. You can look at the events surrounding Whitney Houston’s death, Elvis Presley’s death, Michael Jackson’s death, Amy Winehouse’s death, Heath Ledger, Marilyn Monroe, Chris Farley, the list could go on. All of these deaths were related to drugs and alcohol. Acts 16:16 And it came to pass , as we went to prayer, a certain damsel possessed with a spirit of divination met us, which brought her masters much gain by soothsaying : 17 The same followed Paul and us, and cried, saying, These men are the servants of the most high God, which shew unto us the way of salvation. 18 And this did she many days. But Paul, being grieved , turned and said to the spirit, I command thee in the name of Jesus Christ to come out of her. And he came out the same hour. 19 And when her masters saw that the hope of their gains was gone , they caught Paul and Silas, and drew them into the marketplace unto the rulers, 20 And brought them to the magistrates, saying , These men, being Jews, do exceedingly trouble our city, 21 And teach customs, which are not lawful for us to receive, neither to observe, being Romans. 22 And the multitude rose up together against them: and the magistrates rent off their clothes, and commanded to beat them. This sorceress woman followed Paul, declaring that he had ‘a’ way of salvation. That’s a sweet deal, right? You’d love to have an influential and vocally talented sinner following you around, endorsing your ministry? Most Christians would flip at this opportunity. So in other words the woman was saying that they had “a” way of salvation. It was “among many options”… I’ll put Paul on my mix-tape in the middle of all the other things I say… I need to build a relationship with his market. I’ll interview him on my talk show between all the other religions and idolatries. How did Paul respond? He did not try to capitalize on her ability, nor did he see any advantage in the money she was able to bring in. Paul was annoyed, vexed, and cast a demon out of her. When her handlers who were making money off of her saw that her demonic power was gone and that their hope for making money was gone, they decided to attack Paul. Let’s look at the Simon the former sorcerer and how Peter responded to his desire to make money off the Holy Spirit. Acts 8:18 And when Simon saw that through laying on of the apostles’ hands the Holy Ghost was given, he offered them money, 19 Saying, Give me also this power, that on whomsoever I lay hands, he may receive the Holy Ghost. 20 But Peter said unto him, Thy money perish with thee, because thou hast thought that the gift of God may be purchased with money. 21 Thou hast neither part nor lot in this matter: for thy heart is not right in the sight of God. 22 Repent therefore of this thy wickedness, and pray God, if perhaps the thought of thine heart may be forgiven thee. 23 For I perceive that thou art in the gall of bitterness, and in the bond of iniquity. 24 Then answered Simon, and said, Pray ye to the Lord for me, that none of these things which ye have spoken come upon me. No, he rebuked that guy so hard that Simon sincerely asked Peter to pray for him that he didn’t burn in hell for vocalizing those wicked thoughts. That’s one of the hardest rebuke in history! Peter’s response is totally different from Christians of today. Peter rebuked him for thinking that the gift of God, the Holy Spirit, could be reduced to the value of money. This very thought Peter said, showed that Simon was in the gall of bitterness and in the bond of iniquity. Now let’s look what happens when the real gospel is preached. Acts 19: 18 And many that believed came, and confessed , and shewed their deeds. 19 Many of them also which used curious arts brought their books together, and burned them before all men: and they counted the price of them, and found it fifty thousand pieces of silver. 20 So mightily grew the word of God and prevailed. When the real gospel is preached, people will gather to burn their witchcraft. They don’t celebrate it, remix it, reuse it, etc. They definitely don’t augment their witchcraft income with some positive message income. The kingdom of God is not about getting a message out and making some money. It’s about teaching people how to obey and worship God through Jesus Christ. It’s not just in word, but in power. We have fallen so far away from the heart of God and the purposes of Christ. So what if I have my wife prostitute her body on 8 mile & Woodward to reach people & bring some income to the family, just like Jesus does with His Church when they partner with the world, copy, & compromise in spiritual adultery to “reach the lost.” Actually no I won’t do that, because Jesus doesn’t do that. He wants love and repentance, not whores reaching more whores “at any cost”. When we prostitute our gifts and mix with the world and their witchcraft, we are the spiritual whores. But Jesus ate with sinners? Please, stop with that old lame and tired cliché excuse, it hasn’t worked for the past 40 years. #1, Jesus preached repentance and spiritual violence. So sinners came to him in repentance to follow Him, not to team up with him and make something happen for their witchcraft business (see Jesus Christ ministry techniques). #2, you have to understand that holiness equals God’s purpose. I was going to talk about purpose and holiness here, but nevermind, # 1 is enough for now because repentance is the ground floor of the Kingdom of God. But what about the woman caught in adultery? The Pharisees stoned her, but Jesus forgave her, you are a Pharisee! No, you need to stop using that woman to justify your sin and wickedness. That woman was a repentant person. We are not stoning anyone physically. 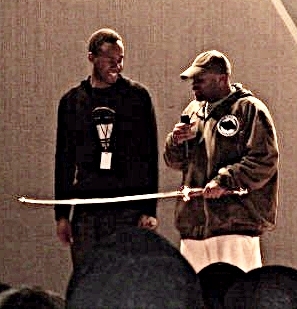 We are simply bringing an axe to the spiritual roots of trees and ministries that promote sin, scandal and foolishness. We are calling for repentance and asking responsible and supposed ministers of the gospel to say and do something different. Put the axe to your tree and cut out the roots of wickedness, so that harlot ministry doesn’t come thru your mouth anymore. When someone repents of their sins they are no longer wicked. The woman who committed adultery was exposed, and she obviously repented or Jesus would not have forgiven her sins. With what is going today, people are making music and partnering in ministry with UNREPENTANT sinners! If the unsaved artists that Christian artists partner with were repentant…THEY WOULD CHANGE! True repentance brings a change in lifestyle and righteous fruit. When it came time for the Pharisees to repent for what they did while Jesus was “blogging” on the ground, they just walked away instead. The Pharisees are the only group of people in the gospels that did not respond to the preaching of John the Baptist or Jesus Christ by changing what they said and did. So in reality, the people that respond to the repentance message with accusations or apathy instead of repentance are the real and actual ‘pharisee’ problem. They hated John the Baptist and crucified Jesus so that they could keep the power and the money and the influence. They are still doing the same thing today. But, but, but… Christian plumbers don’t have to write Jesus on their pipes? It’s a job. Can’t I just practice my art? Didn’t you read that CS Lewis book? There was so much symbolism in Lord of the Rings. If you want to lay pipes, lay pipes. If you want to use your craft, or your art to connect to people spiritually, then you need to worship, declare, and glorify God. If you want to use your plumbing, meat butchering, music playing, singing, speaking, bricklaying, masonry “craft” to make spiritual connections… but you don’t want to exclusively glorify Jesus and his message of repentance and worship, then go join the Masons with the other sorcerors! Connect with the Illuminati, or some false religion. You can’t have it both ways. You can glorify God in Holiness, but not in whoreliness. CS Lewis not only didn’t repent from his paganism, he used his pagan, witch and magic based stories to pervert the Word of God. So now we actually think that the Lion, the witch, and the wardrobe is the gospel. Intellectual Holy Spirit avoiding Christians that resist the Holy Ghost but follow Dead Men’s Bones (doctrines of dead men) look up to CS Lewis and use him as an excuse for their avoidance of the Cross and the reproach of Christ. When you are a worshipper of Jesus Christ, you have to embrace the persecution and everything that comes along with Him. This is harlotry, witchcraft, the essence of Babylon, and the bible shows us that this type of whore-based ministry comes from the doctrine of Jezebel. Jezebel is explained here, and much more in depth with 2 entire chapters covering Old Testament Jezebel style and New Testament style Jezebel here. So I won’t get too much deeper on that in this message. But I will say this. Part of the reason we make room for Jezebel in the church is because some have a false evangelical mindset which places the great commission above the great commandment. We put the 2nd commandment – loving and reaching out to people – in front of the 1st commandment – loving God in prayer and the Word, Holiness, and obedience with suffering. There’s nothing wrong with the great commission as long as it’s in order. I have seen a lot with this Jezebel Spirit of compromise attacking Christian music and ministry. My wife and I wrote a book about it, called Killing Idols for REVIVAL. We finished 80% of it in July 2011. As soon as we finished it, it seemed like all hell broke loose. Concepts that we had already explained in depth with prophetic dreams, interpretations, and scripture teaching in the book started happening in the real world at a much deeper level. Guys that we worked with in the past started signing with secular labels and doing secular mix-tapes. We saw preachers dying, more gospel divorces, scandals, etc. Things really amplified, and we hadn’t even published it yet. God is really cutting Jezebel’s head off and exposing these blind guides that pollute the body of Christ with spiritual adultery, all in the name of “reaching the lost” really “making money.” My wife prostituting herself could help our family out with the bills, but does Jesus send His wife to whore with the world to help reach souls or fund the Kingdom? According to this false doctrine, the answer is yes. They accept it because they don’t know Jesus’s heart. God is getting something across to us, and we have to have an ear to hear! If you can’t see the signs of the times – Jezebel is getting her head cut off, Judas is hanging himself, and Balaam is just going to hell. But you, as a person – can repent from those influences, and GOD will have mercy on you. God is anointing His messengers to bring in the final harvest and 2nd coming of Jesus Christ. 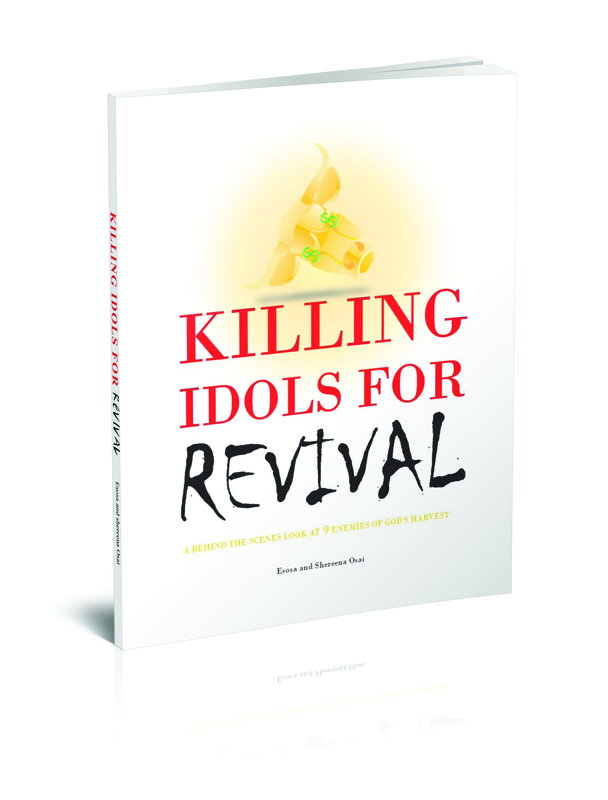 – Read the book Killing Idols For REVIVAL to see more behind the scenes of the Christian Music Industry, with a biblical understading of how to change it. If you are living your best life now you are going to hell. You might even go to church but be a false convert. Real Christ followers find spiritual identity in his death and rise when He comes back. Colossians 3 1 If ye then be risen with Christ, seek those things which are above, where Christ sitteth on the right hand of God. 2 Set your affection on things above, not on things on the earth. 3 For ye are dead, and your life is hid with Christ in God. 4 When Christ, who is our life, shall appear , then shall ye also appear with him in glory. What About the Abundant Life? Some people would say John 10:10… doesn’t Jesus come that we might have life, and more abundant? John. 10:10 is surrounded in the context of scriptures that say Jesus is the door, the shepherd, the way, etc. In that same context He talks about the world rejecting Him, so they reject His true followers too. He says that the servants won’t be greater than their master. He also said this right before He went to the “Cross.” So it’s obvious that He wasn’t talking about the type of best life that is only positive, non-confrontational, and filled with earthly success and prestige in the eyes of man. The things that men respect the most, God actually hates the most. You could be the richest, most influential, powerful person in the eyes of men, and everything you stand for would be an abomination to God. What’s the difference between a true believer and a false convert? A true believers heart is in Col 3:1-4 because they are actually following Jesus, and holiness, and taking the persecution and suffering that comes with it. Find Your Identity in Jesus Christ, His message, His Life, His Cross, His resurrection! Do and say the hard things that it takes to follow Him. False converts have no root, therefore when their earthly ‘best life’ is not happening, tribulation causes them to fall away from the faith. You can see this in the parable of the sower as well as in Matthew 24. Mark 4 16 And these are they likewise which are sown on stony ground; who, when they have heard the word, immediately receive it with gladness; 17 And have no root in themselves,and so endure but for a time: afterward, when affliction or persecution ariseth for the word’s sake, immediately they are offended . 18 And these are they which are sown among thorns; such as hear the word, 19 And the cares of this world, and the deceitfulness of riches, and the lusts ofother things entering in, choke the word, and it becometh unfruitful. Tribulation and persecution causes the true believer to go deeper in God and bear even more fruit. Do you know how many former ‘on fire’ false converts are no longer even walking with God? Do you know how many people go to church for 2 hours on Sunday, but worship demons through alcoholism, entertainment, and idolatry the rest of the week? Get ready for more, because as the last days continue, persecution will increase and false converts will fall away by the thousands. You can call them ‘false converts’, or ‘believers who fall away from the faith’; but the results are the same. Mark 24:10 At that time many will turn away from the faith and will betray and hate each other, 11 and many false prophets will appear and deceive many people. 12 Because of the increase of wickedness, the love of most will grow cold,13 but he who stands firm to the end will be saved. Jeremiah 4 3 For thus saith the LORD to the men of Judah and Jerusalem, Break up your fallow ground, and sow not among thorns. Yeah I feel you! Don’t you hate those “Prosperity” preachers? NO I don’t. Prosperity is obviously in the bible in 3 John 2. I wish above all things that you would prosper and be in health. Some people may think I’m taking sides on an issue, but we don’t take sides – we take swords. These are God’s swords, not mine. Huh? Word of Faith is in Romans 10. Reformed is in the dictionary. Where is Luther? He’s in the grave. Don’t get me wrong, I have plenty of respect for Calvin, Luther, Seymour, Ravenhill, Hagin, etc. It’s beneficial to know Christian history, and I’m not trying to “dog” people in those organizations. Trust me I’ve read so much on great teachers and revivalists of the past that did great things with God. But it’s really counterproductive to try to correct scripture with non-scripture. Dead Men, no matter how great they were, are in the grave. Jesus is alive, and His Word is alive. If you want to bring correction, there is plenty of Biblical language that can be used to bring correction. You could talk about covetousness, Babylon business, wolves in sheep’s clothing, the doctrine of the Nicolaitans, the Judas Kiss, Balaam’s error, the doctrine of Jezebel; a bunch of stuff is in there. While you are quoting dead men you could be getting more revelation from the Scriptures, where the Dead Man Rose Up from the Grave. We have entire chapters of teaching and supernatural revelation on all this stuff in Killing Idols for REVIVAL… but real quick – let’s bring out a Biblical example for correction. Well first of all, Repentance and Spiritual Violence is the ground floor of the Kingdom of God. Not only did Jesus Christ get baptized by John the Baptist, “to fulfill all righteousness”, (which represented total agreement and submission to his message)… He also immediately went into the wilderness for 40 days of fasting (imitating John the Baptist)… then He came back and preached the same message that John the Baptist preached – not by coincidence. I talk more about this in “Jesus Christ Ministry Techniques.” Jesus took the next steps of teaching multitudes, healing, and casting out demons, and doing miracles. But he started on the ground floor of spiritual violence and preaching repentance. The whole idea that this represents is bad. There are so many false converts and false prophet ministries who think they are better than a true messenger because they have more money and are more positive. They think that’s their role – but really they are playing the role of Judas (who was in charge of Jesus’s money and claimed to want to give to the poor too). When crunch time came, Judas was on the other team, doing what he thought was right in his own mind instead of obedience to suffering with Christ. This has really sad results. Just in the past few years so many people have fallen away from the faith… even those who still go to church. But the good news is that the harvest is plentiful! Some pastors will even tell you that many of their members aren’t saved. So there is much opportunity to teach people about the Kingdom of God. It’s time for a clear message of specific repentance! From Tebow to J-Lin… The surprise sports sensations of this year have both been Christians. Maybe God is anointing His messengers! When it comes to sports, if you are not glorifying God in Nazarite style holiness… it can degenerate into idol worship very easily. But checkout Jeremy Lin’s Testimony! He seems to be humble, with his priorities in order, and he knows that God has set him up for such a time as this! Pray for J -Lin to stay away from the strange women, and not to get drunk with the world’s wine! Pray that he reject any advertising contracts with those themes as well. God doesn’t need tithes or partnerships from babylon business profits. God is anointing His messengers. Pray for them! So now, how about: Ron Paul for President, and Jeremy Lin for Vice PresLindent?